Website Design Security Consultants Chicago IL | This secure Word press website for cutting-edge global security company located in Northern Virginia has a full screen homepage design that fills the browser screen up to 2560 px. 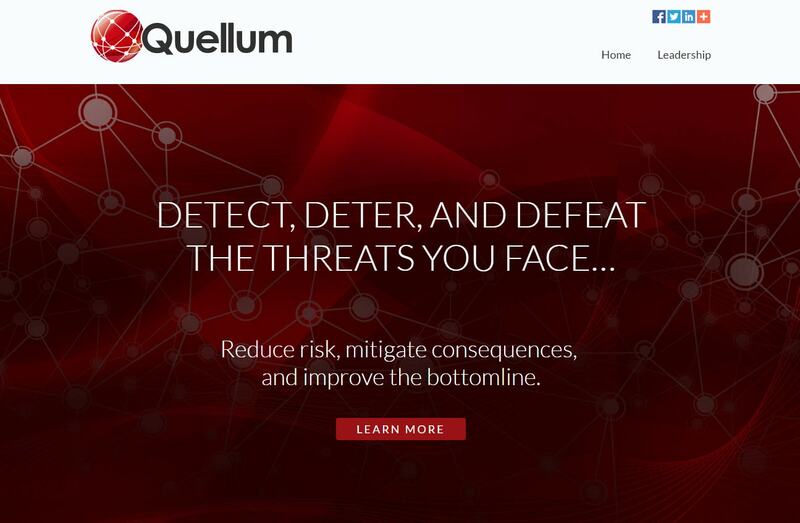 VISIONEFX also provided logo design and branding for QUELLUM. VISIONEFX provides Web design for security consultants and companies.When searching Website design Chicago Illinois look no further than VISIONEFX for all of your website needs. VISIONEFX, a Web design company based in Virginia and provides services to national companies as well as small to medium businesses throughout the United States to include; custom web design, web development, E-commerce web design, Word Press web design, Joomla web development, SEO and Website fix-repair-update maintenance services. Call: (757) 619-6456 or email info@visionefx.net. VISIONEFX also has Top Google Reviews posted on Google My Business pages.